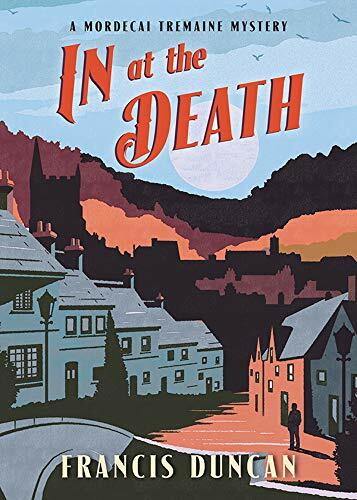 Amateur detective Mordecai Tremaine is back is the fine mystery In at the Death. Dr. Hardene is found bludgeoned to death inside a vacant house. When Chief Inspector Boyce of Scotland Yard is called to investigate, he brings his buddy Mordecai Tremaine. Numerous questions emerge. Why was the Doctor carrying a gun in his bag? Why was his car parked down the street? Why does everyone in the small town seem to be hiding something? Written in 1952, In at the Death showcases the puzzle making skills of the author. He seems to be hitting his stride in the fourth Mordecai Tremaine mystery. I was totally blindsided by the conclusion. If you want to play armchair detective too, I highly recommend reading this book. Hopefully, you will have better luck guessing the murderer. 4 stars!